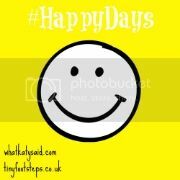 Another Happy Days week over, this month is flying isn’t it? I love the Happy Days Linky with Jenna and Katy. And because it ensures we are getting out I can also link with the lovely Fiona at Country Kids. I am so enjoying looking back and reflecting the weeks. This is going to be great to look back on in years to come. My own little weekly diary. We have been up to all sorts this week. Joe has had to start new riding lessons, his stables stopped offering public lessons, and he was so upset. However my friend recommended a new stable. We were so lucky that they could fit him in, and he loved it. It was very cold as it was an outdoor arena but the ladies were lovely and very professional. I just know he is going to love riding there. 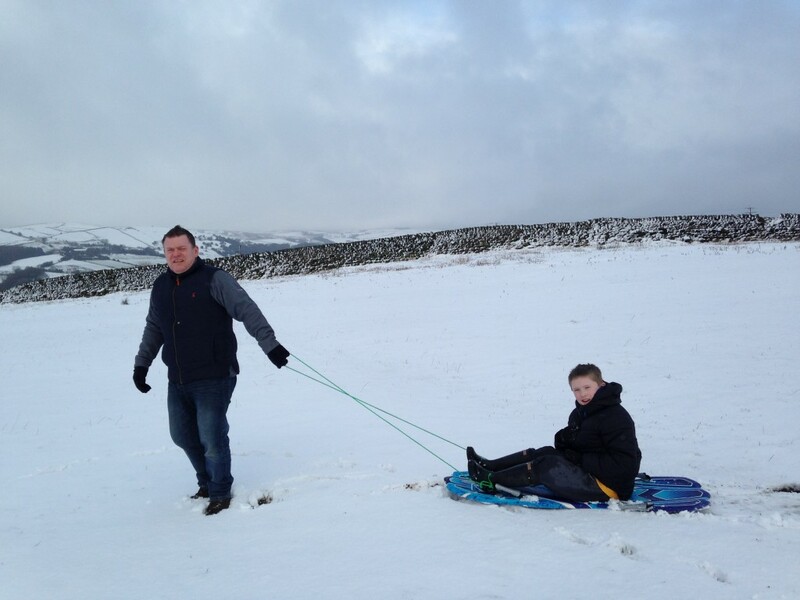 We have had a fab time walking and sledging in the snow on Sunday afternoon. The snow is quite deep, perfect for sledging on those hills. It was breathtaking to walk amongst. Poor Toby fell through some ice into a puddle, I had a feeling it was a bit unsafe as we walked round the edge of these huge puddles so put him on his lead. Thank goodness I did, as he didn’t have the sense to avoid the ice and fell through. It wasn’t deep, but very cold bless him. It was nothing a warm shower and a lovely snuggle in blankets couldn’t solve though. Wow we haven’t been home much this week, but this has to be Sunday afternoon chilling by the open fire. I made the boys hot chocolate and Chris and I had a nice glass of wine. I love lazy Sunday afternoons. Time to just relax and spend time together before the manic week ahead. Oh I nearly forgot Saturday night too, I was meant to go out for my lovely friend Elizabeth’s birthday drinks. Then the snow came, and we were snowed in for the evening. I was so upset about missing a girly night out, but there is something magical about knowing you are snowed in isn’t there? It was so lucky that Chris and the boys managed to get home from the football, 20 minutes later they would have had to abandon the car and walk home. 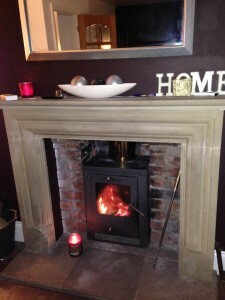 Saturday afternoon when we arrive home from Leeds the Boys all rushed off to the football match and I stayed home by the fire. Do you know I did nothing; I just sat by the fire with a coffee reading and catching up on some of my favorite blogs. It was bliss. This has to be our family visit to the Queen’s Q Hotel, Leeds. They made us feel so special. 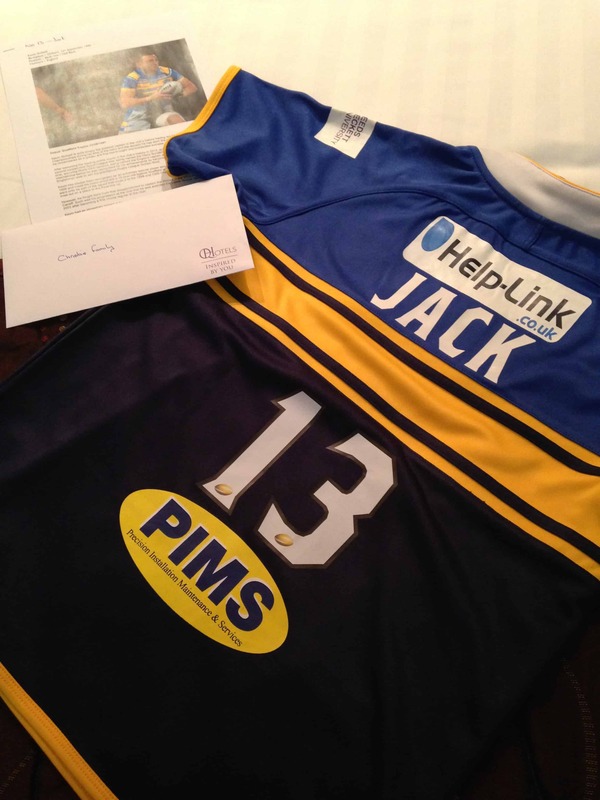 The boys were greeted with rugby shirts with their names on for the Leeds Rhinos and the hotel have also arranged for us all to train with the Rhinos in the summer. They were so excited and felt to special. It was lovely to see how happy this wonderfully kind gesture, made them feel. Well, another exciting week next week. We are visiting Center Parcs in Nottingham and are so excited and the lovely people from Center Parcs have booked us in for the Ariel Challenge, this involves zip wiring over a river, eek I can’t wait. What I really need is go pro camera so I can film it, but that is not going to happen in the next week. So I need to work out a way to film it without loosing my I phone or camera. Oh so many happy things in this post, Sarah. That’s fab Joe has found another stables to ride at – sounds like he will get on great there too. What a lovely touch from Q hotels to have those rugby shirts for the boys. Enjoy your time at CPs – can’t wait to hear all about it. Especially the Ariel adventure! I love the sledging photo. I can almost feel how cold it must have been! It’s a shame you had to miss your girly night out. Hopefully you’ll have the chance again soon! Enjoy your stay at Centre Parcs! Wow what a week! Look at all that snow!!!! We had about 1mm of snow before it melted haha! They say more is to come tomorrow but I am not sure. Your trip to Q sounds amazing and you are so lucky to be visiting Center Parcs too! Busy busy! Thanks Kate, yes it was amazing. I can’t wait until out next one. It looks like you had a great week, full of loads of fun. It looks like a beautiful. That snow day looks beautiful it’s a shame Toby fell in a couple of puddles but the kids look they’re having a right laugh. Thanks for linking up with Country Kids.